[vc_row][vc_column width=”1/1″][vc_column_text] This past week the midwest experienced it’s first major winter storm of 2015 and along with the snow and cold came icy roads. Icy roads and low visibility that unfortunately helped to contribute to a huge pile up of nearly 200 vehicles in Michigan along I-94 this past Friday. That portion of I-94 is a major trucking route and the news reported that between 70 and 80 of the vehicles involved were semis. The accident closed down the West and Eastbound lanes of the expressway and it took two days for emergency personnel to clear and reopen that stretch. This recent accident was a huge reminder to us all that it’s best to stay off roads during poor weather conditions. 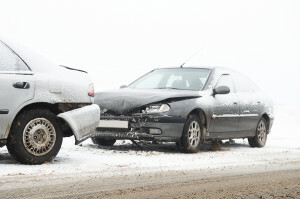 If you are unable to stay off the roads keep our safe winter driving tips in mind (link to the blog), but what happens during a pileup like what Michigan experienced last week and what should you do? [/vc_column_text][TS-VCSC-Youtube content_youtube=”http://youtu.be/W9fI5M6_XVk” video_related=”false” lightbox_play=”false” content_lightbox=”true” content_youtube_trigger=”preview” content_youtube_image_simple=”false” content_image_height=”height: 100%;” content_youtube_iconsize=”30″ content_youtube_iconcolor=”#cccccc” content_youtube_buttontext=”View Video” lightbox_group_name=”nachogroup” lightbox_effect=”random” content_tooltip_css=”false” content_tooltip_position=”ts-simptip-position-top” margin_top=”0″ margin_bottom=”0″][vc_column_text]In the video you see by the time the driver sees there is an issue it’s too late to stop and at that point they need to quickly decide what’s the best thing to hit. From the angle of the video you see many of the cars & SUVs aim for the median, which meant those vehicles avoided getting rear ended by semis. “There’s more danger in getting out of your car than staying in your car,” she said, noting that there are too many unknown factors during a massive vehicle pileup to risk getting out. People outside of a vehicle on the highway are susceptible to getting struck. 1 – Stay Calm – Panicking will not help you, you need to remain calm. A panicked person will react with sudden jerky maneuvers, which can increase the severity of the accident. Instead stay calm and respond with smooth steering and braking. 2 – Decide on a plan – You don’t have time to be indecisive, so decide on what you’re going to do and stick with it. In the video you saw many of the cars decide to go left to the medium; imagine what would have happened had one of those cars started off doing that and then decided to try to go right instead. The car could have ended up sidewards between two semis instead of in the median and that would have ended very badly. 3 – Break Accordingly – Cars brake differently depending if they have anti-lock brakes or not, so it’s important to know if the car has them and to brake accordingly. 4 – Steer Decisively – Do not abruptly jerk your steering wheel in response to an imminent accident since they may lead to you losing control. 5 – Hit the Gas – Sometimes the best way to avoid an accident is to accelerate and to get out of the way. It’s counter-intuitive since instinct is to slam on the brakes, but there are times the accelerator is your best bet. 6 – Minimize the Damage – If there’s nothing you can do to avoid an accident you need to decide how to best minimize the damage. Your car is structurally weakest on the side, so it’s best to avoid impact to the side of your car. You’ll also want to try to avoid head-on collisions and large immobile objects head-on. During the pileup in Michigan last Friday a few of the vehicles caught fire, including a semi-truck hauling fireworks, which lead to this dramatic footage below:[/vc_column_text][TS-VCSC-Youtube content_youtube=”http://youtu.be/E3NU-CuLtVs” video_related=”false” lightbox_play=”false” content_lightbox=”true” content_youtube_trigger=”preview” content_youtube_image_simple=”false” content_image_height=”height: 100%;” content_youtube_iconsize=”30″ content_youtube_iconcolor=”#cccccc” content_youtube_buttontext=”View Video” lightbox_group_name=”nachogroup” lightbox_effect=”random” content_tooltip_css=”false” content_tooltip_position=”ts-simptip-position-top” margin_top=”0″ margin_bottom=”0″][vc_column_text]While television and movies make it seem like car crashes mean explosions and fires in reality it’s rare, but if it does happen you do need to get out of your car and move at least 150 feet away from the burning vehicle. At the Top Driver driving schools our drivers education programs focus on teaching teens to be safe and intelligent drivers, which means our driving instructors will teach drivers ed students to evaluate situations and help prepare the students for worst case scenarios. This entry was posted in Top Driver Blog and tagged Car accidents, Car Safety, Driving Practice, Expressways, How to Drive a Car, Road Safety, Safety Tips, Semi trucks, Speeding, Tailgaiting, Tips, Winter Driving.